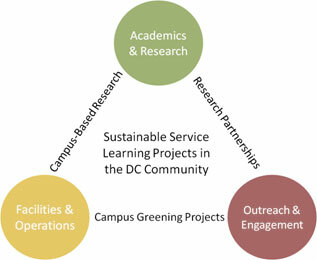 UDC has launched a sustainability initiative to expand and enhance our academic offerings to prepare our students for some of our world’s greatest challenges: climate change, biodiversity loss, global urbanization, natural resource scarcity, and energy demand. We will green our physical campus and our operations to reduce our impact on the environment while providing opportunities for students to live and learn in a sustainable manner. UDC will expand its partnerships with local and regional organizations leveraging shared interests and fully utilizing our location in the nation’s capital.